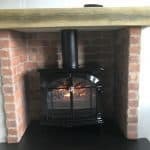 Hi Darren, Just wanted to thank you re fireplace fitted today. 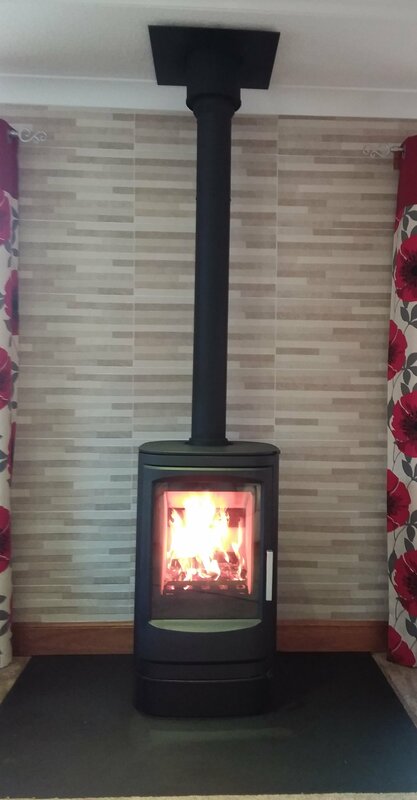 The 2 installers who came today were very good, polite, professional and worked away quietly....no music playing which was great for us. We have had many workmen who cannot work without music blaring. 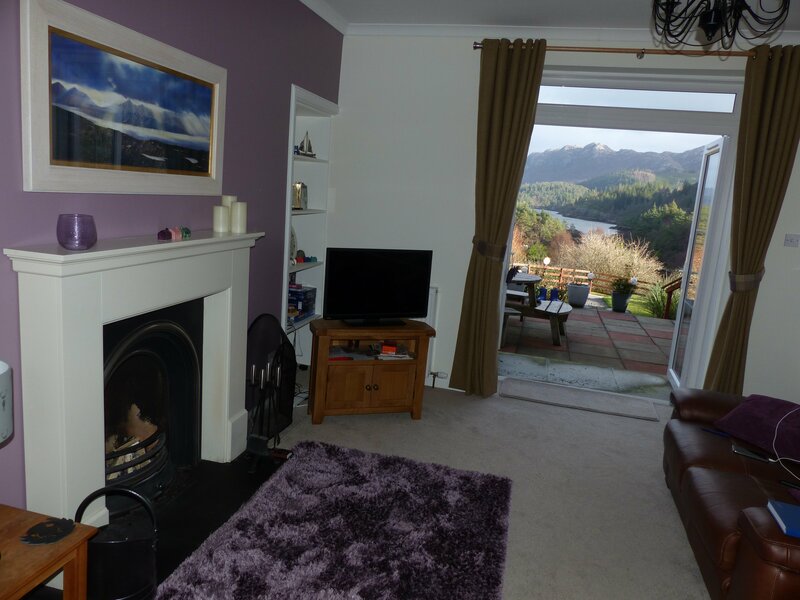 They were very tidy workers and respectful of our house. I would have no hesitation recommending them or your services. Thanks once again. Joan and Jim Shaw. 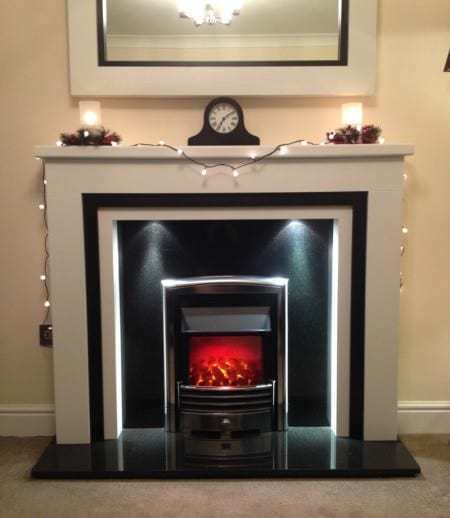 My wife and I were looking for a new open fireplace and visited a number of showrooms, including Fireplaces Direct. 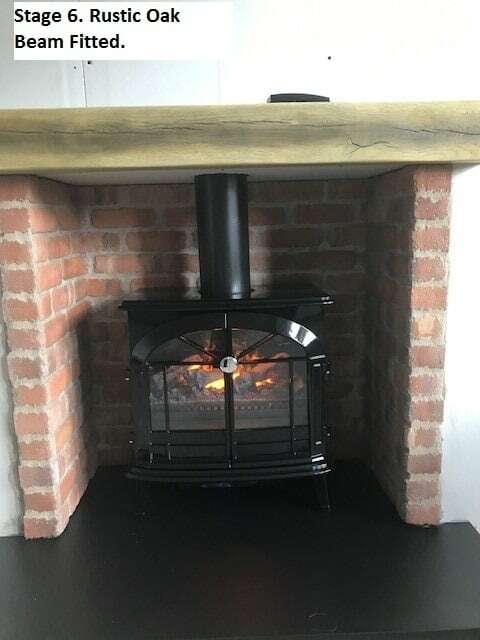 We had never had an open solid fuel fire before and on our first visit to the showroom Darren spent the time to explain clearly what would work well with an open fire and what would not. 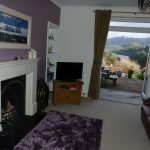 We were extremely grateful for Darren’s expert advice. 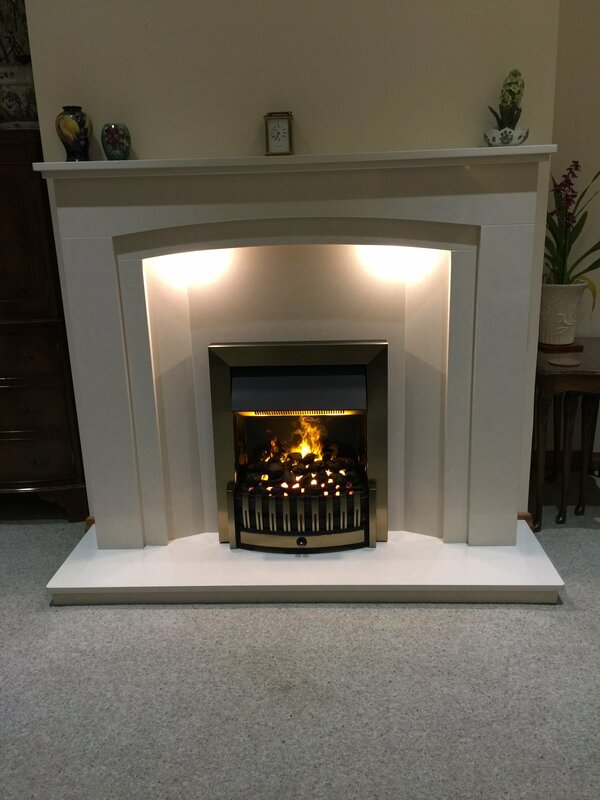 After reviewing a number of brochures we again sought Darren’s advice on any technical issues and on the aesthetics of what we had chosen. 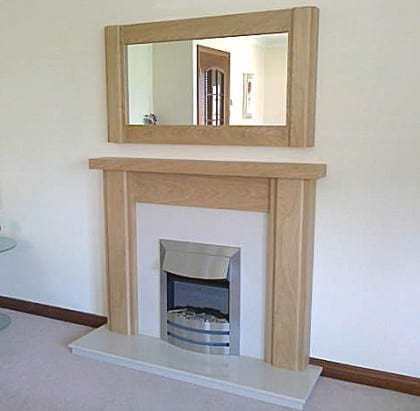 The order was placed and delivered on time and at what we thought was a very reasonable price. 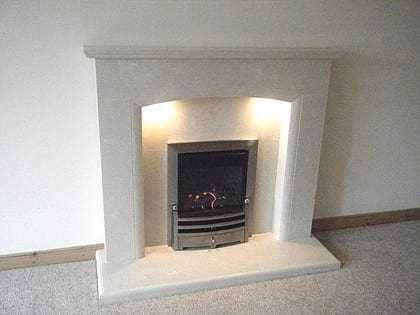 We were having the fireplace fitted ourselves, but Darren was always more than happy to lend advice in regard to the fitting. 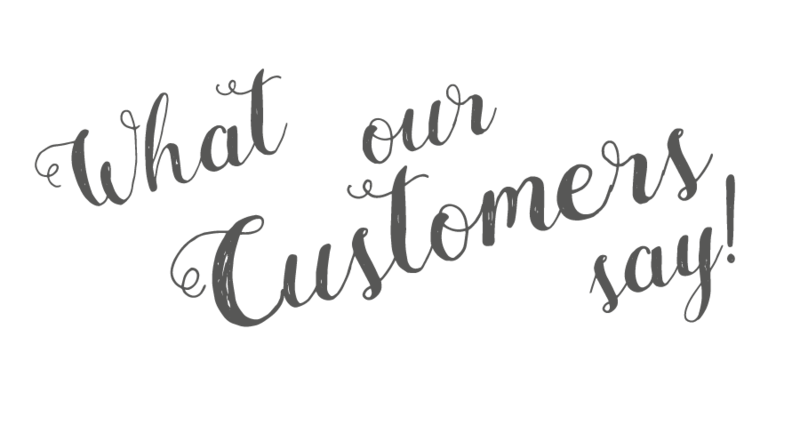 The aftersales service was excellent. 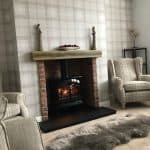 We love our new fireplace which is the centre-piece of our lounge We would not hesitate to recommend Fireplaces Direct if you are in the market for a new fireplace. 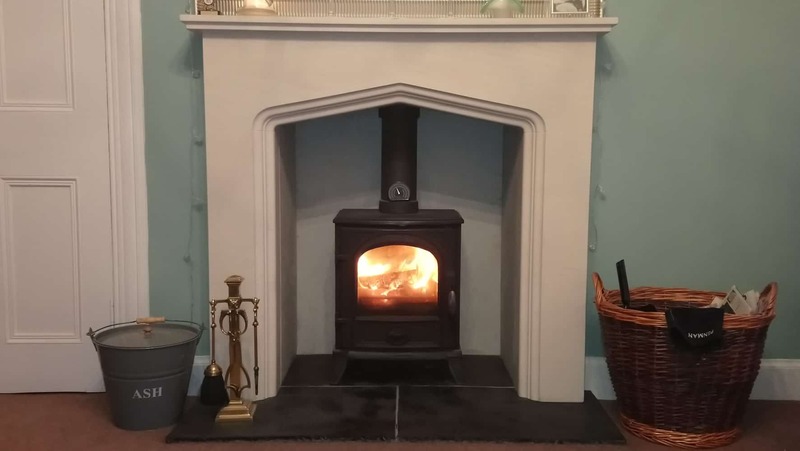 Mr&Mrs Smith Testimonial: When we arrived at the Fireplaces Direct showroom we were both unsure about which type of fire/fireplace would suit us. 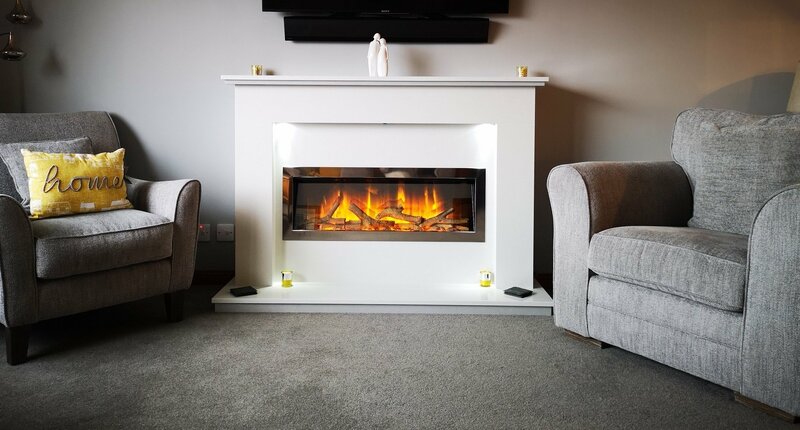 With Fireplaces Direct experience, professionalism and patience we were able to choose a suite that would provide us with the impact we desired. 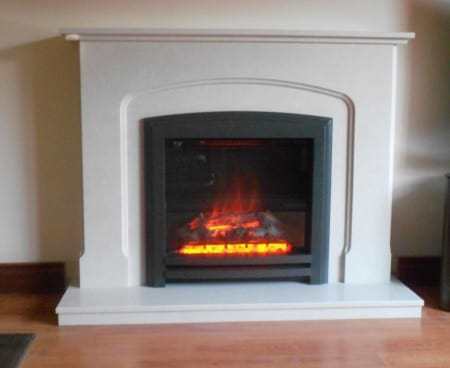 We opted for an electric stove suite using the Oakhurst Opti-myst stove from Dimplex. 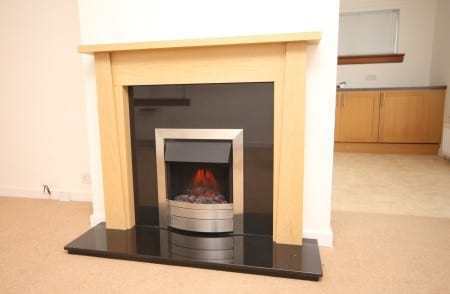 Set in a light grey brick effect chamber, with a black honed granite hearth. 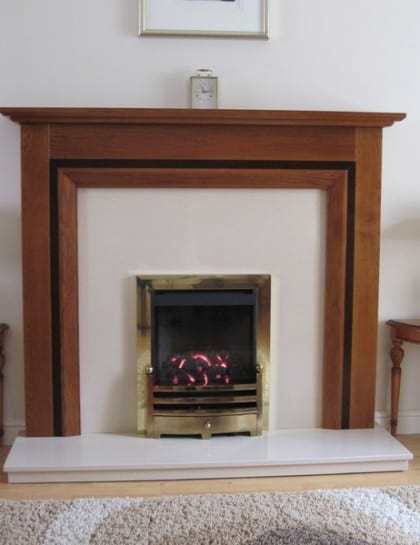 The fire surround is a light grey wooden mantel and is fitted with downlights. 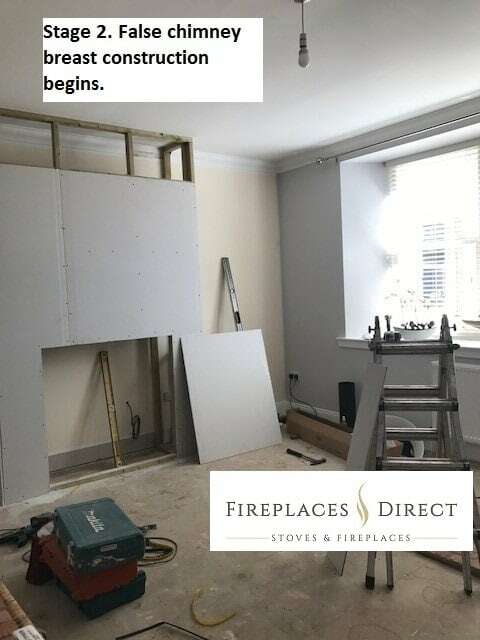 The installers are two very experienced engineers who worked tirelessly throughout the two days of the strip out and installation. 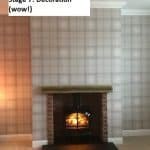 The finished job giving us exactly the effect we had hoped for. With a lot of hard work we now have the room looking the way we wanted. 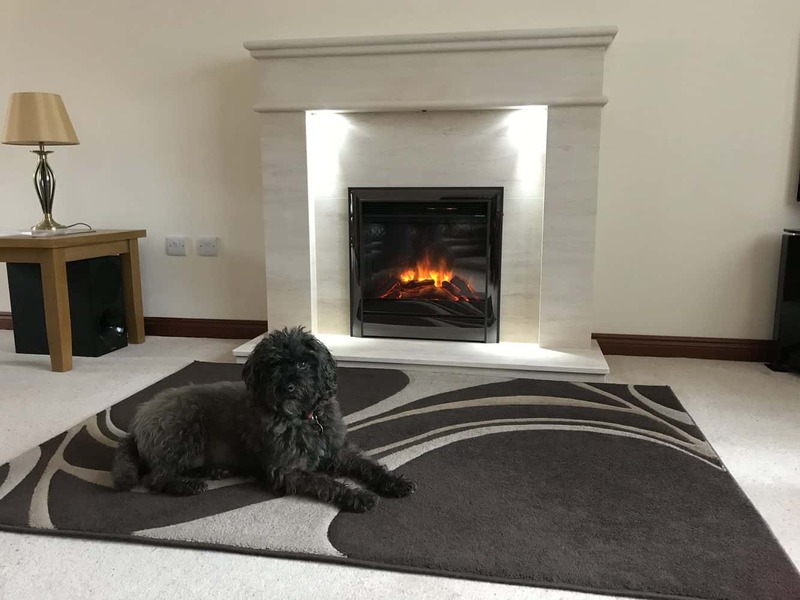 A big thankyou to everyone at Fireplaces Direct as we are delighted with our new fireplace and would not hesitate in recommending them. 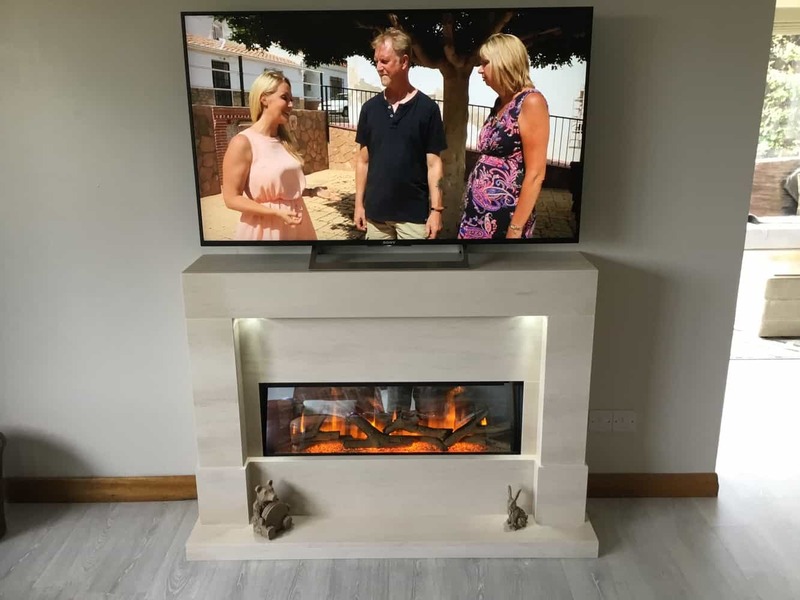 Stone Electric Suite: "Thank you very much Fireplaces Direct for our beautiful bespoke fire and fireplace which has received much admiration from family and friends. 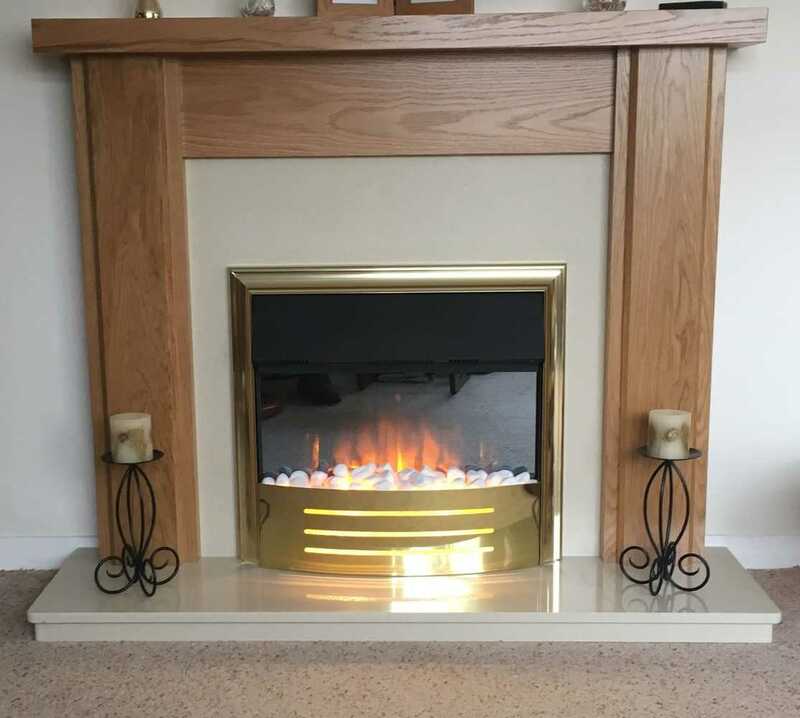 Thanks especially to Darren for his patience and knowledge in helping us achieve the look we wanted, and to the installation team who did a wonderful clean job. 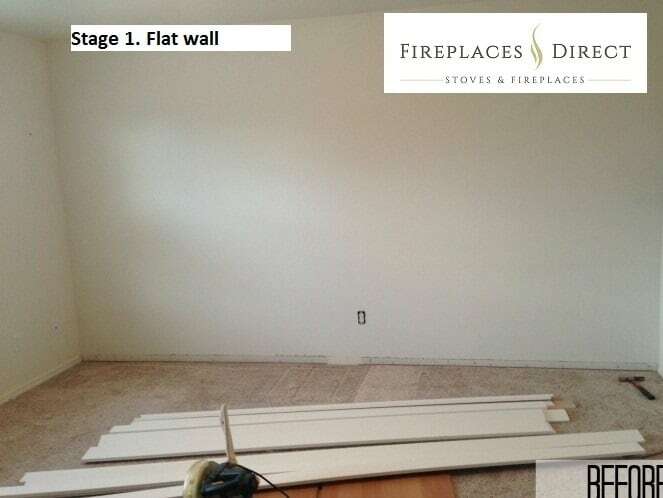 If we hear of anyone looking for fires and fireplaces we will certainly point them in your direction. Thanks again." Mr. and Mrs. Brisbane, Alva. 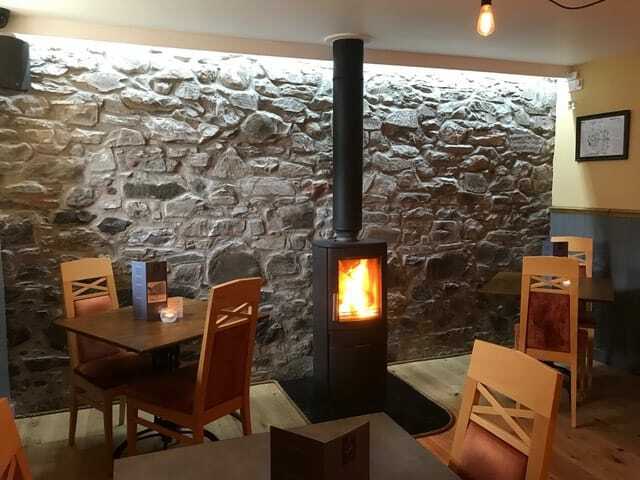 Our most recent wood burning stove installation at the world famous Robertsons of Pitlochry whisky shop. 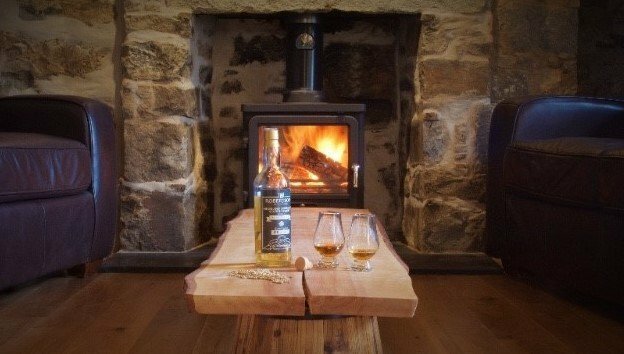 Ewan and his team have transformed a section of their whisky showroom into a stunning new bothy where you can enjoy a malt whisky sampling next to a roaring wood burner (life does not get much better). It was a pleasure to be part of the transformation and we wish Ewan and his team all the very best for the future! 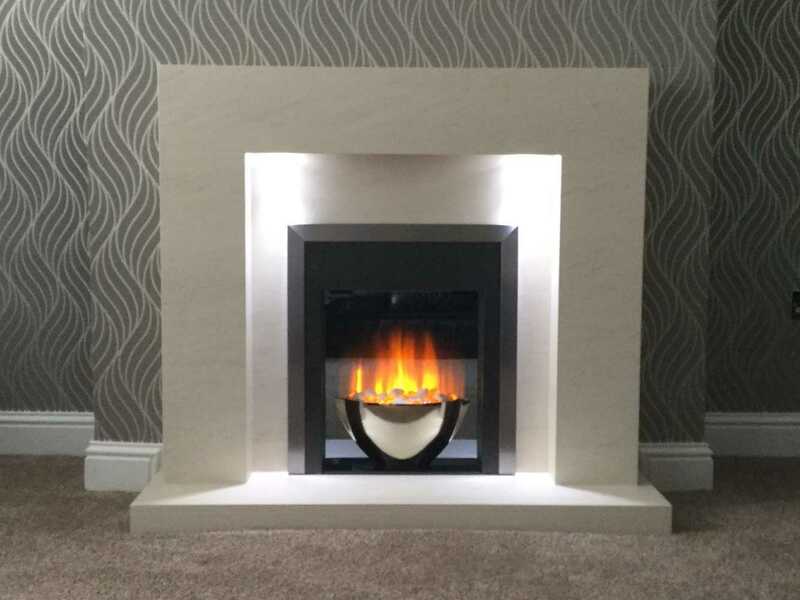 A huge thank you to Darren and the team at Fireplaces Direct for an outstanding service in creating my bespoke fireplace. 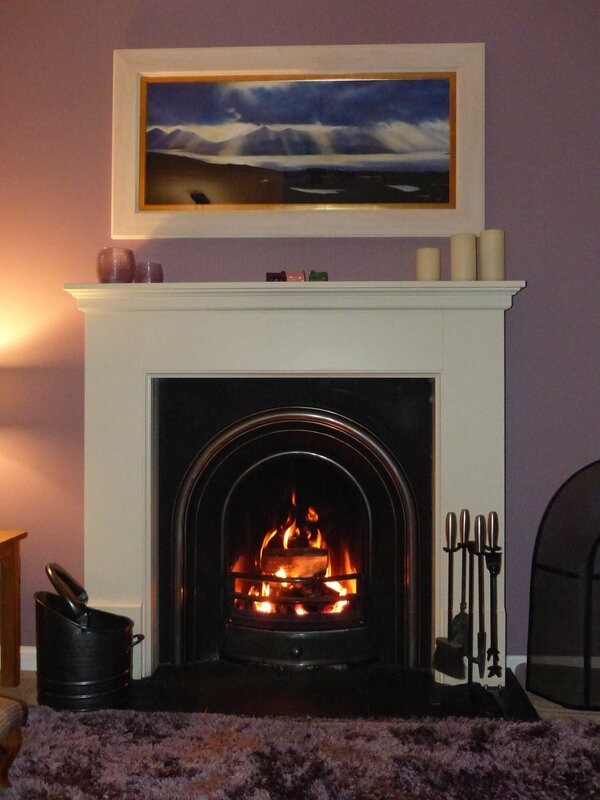 I am absolutely delighted with the finished product and it has been much admired by everyone who has seen it. 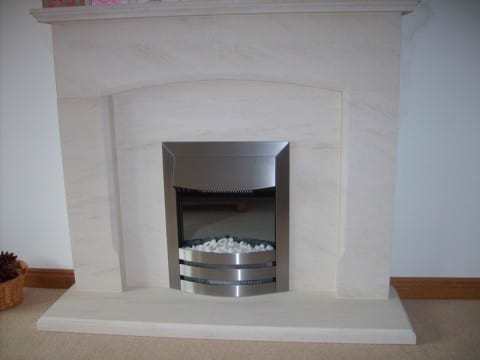 Tremendous, delighted with the finished article. 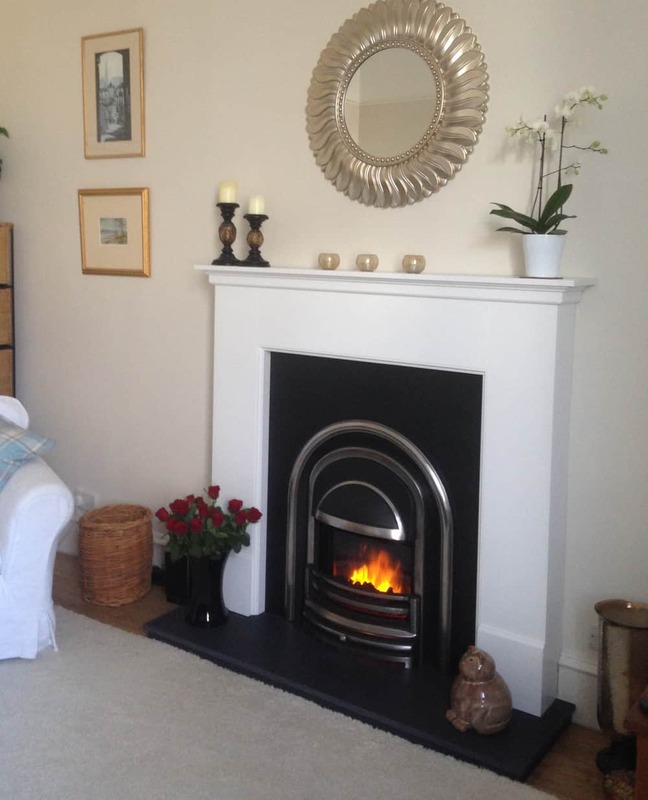 We are delighted with the fireplace and the men who installed the fire did and excellent job. 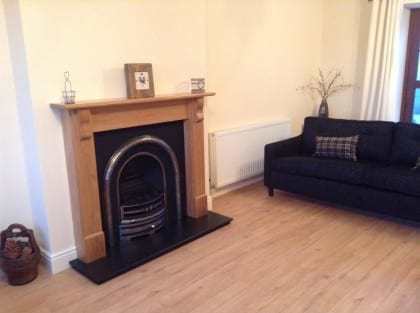 Love the look in our living room. 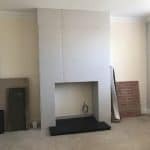 Great service and love the fireplace. Everything at the time promised. 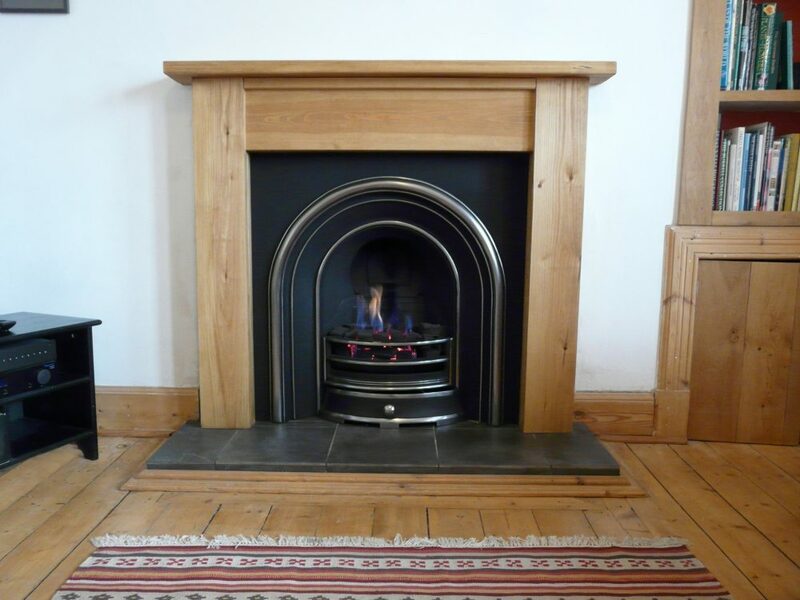 Sandstone Surround & Designer Gas Basket: Delighted with our new fireplace, it has completely change the room. Thanks again for all your hard work. 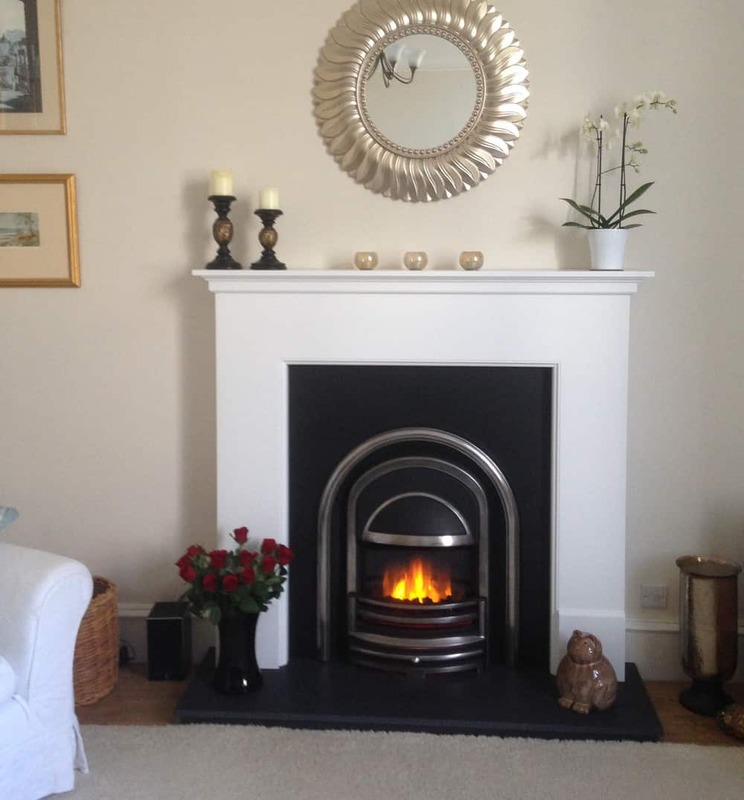 We absolutely love our new fireplace, thank you! 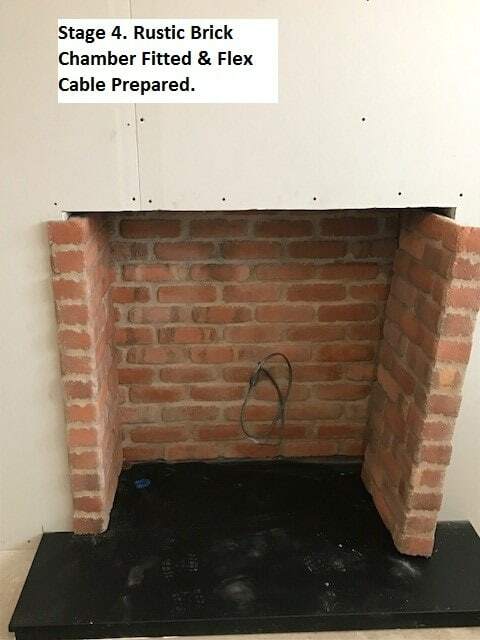 Thank you very much, we love our new fireplace. 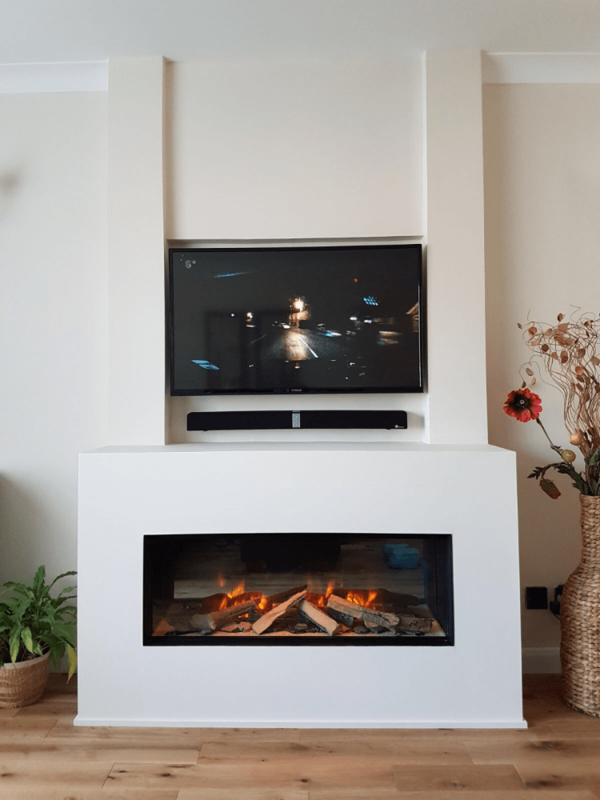 Balanced Flue Gas Fireplace: I am so happy with my new fireplace. 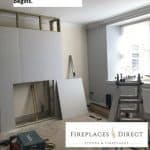 This was the first time I had a fireplace installed and was therefore quite nervous about the process, but from start to finish Darren and his team were very professional and spent time going through all options available to me, from choosing the materials to the final design I felt I had a big input in all aspects. 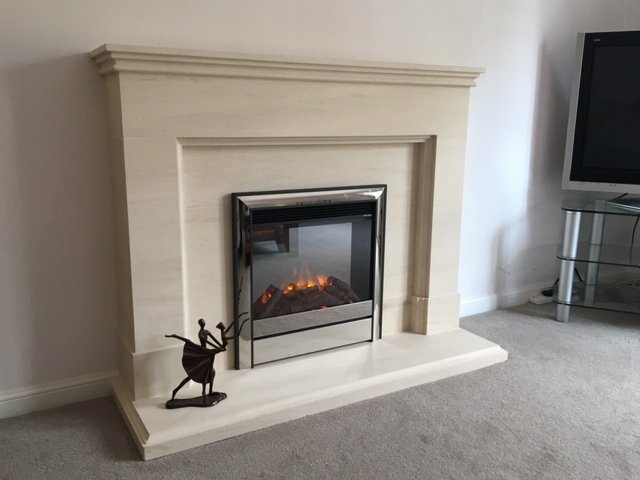 The installers were also very good, arriving on time and carrying out their work to a high specification - and they had a great sense of humour! 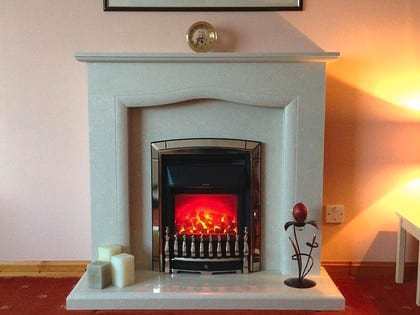 I cannot praise this company highly enough and would not hesitate to recommend them to anyone thinking of installing a new fireplace. Thank you for all your help and advice. 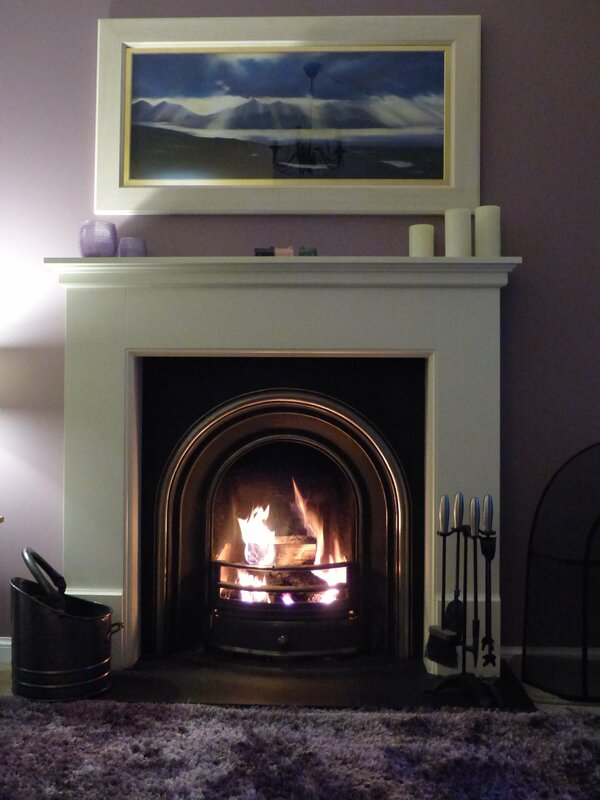 Love our new hole in the wall electric fire. Thank you again for everything. 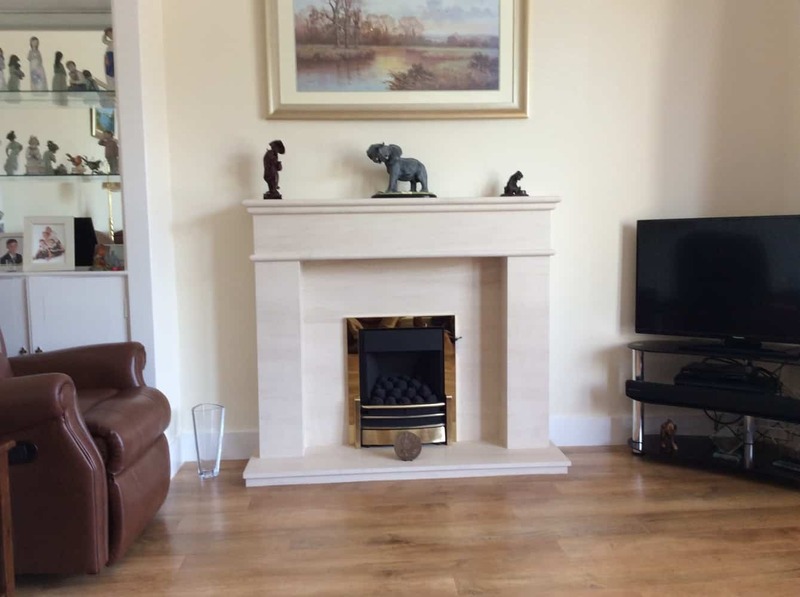 Thank you very much for your help on our recent purchase with your company, our new fireplace is amazing, totally transforming our living room, we love it, the fitters were first class - so professional and considerate, thank you guys. 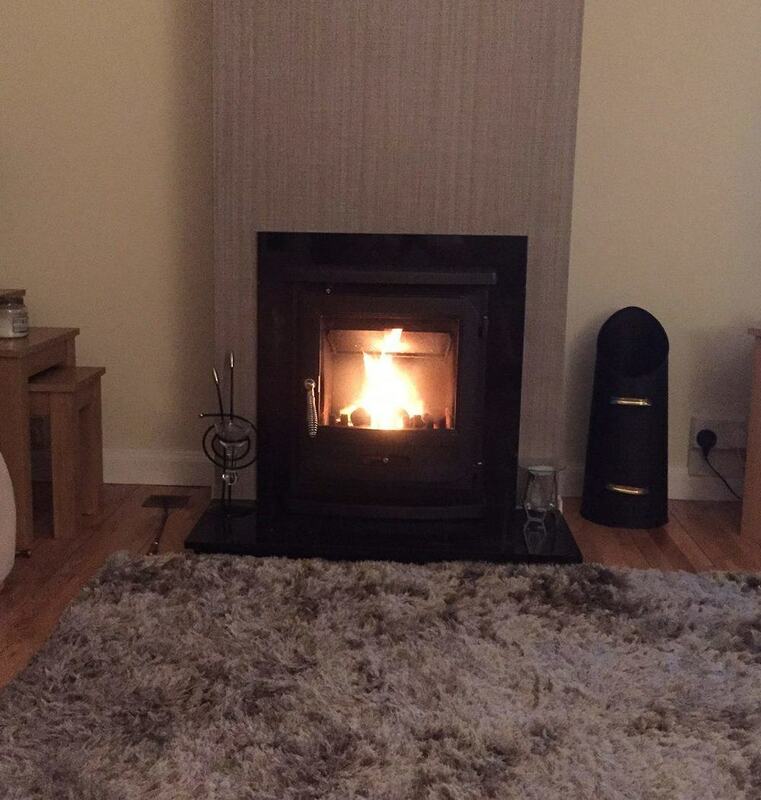 Very happy with the overall look, photo a wee bit late in being sent, great job done. 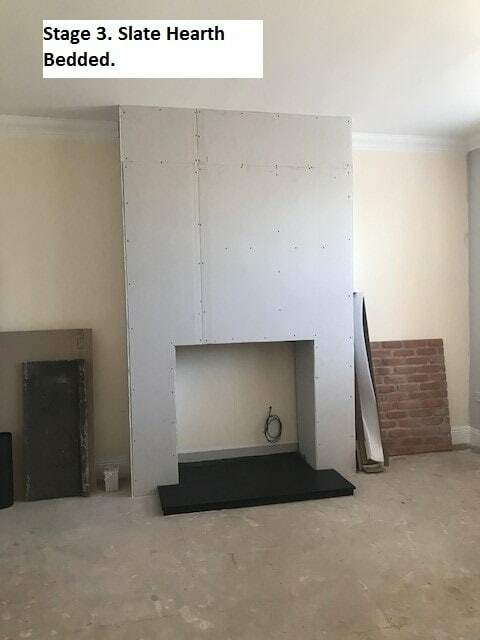 Absolutely delighted with my new fireplace. 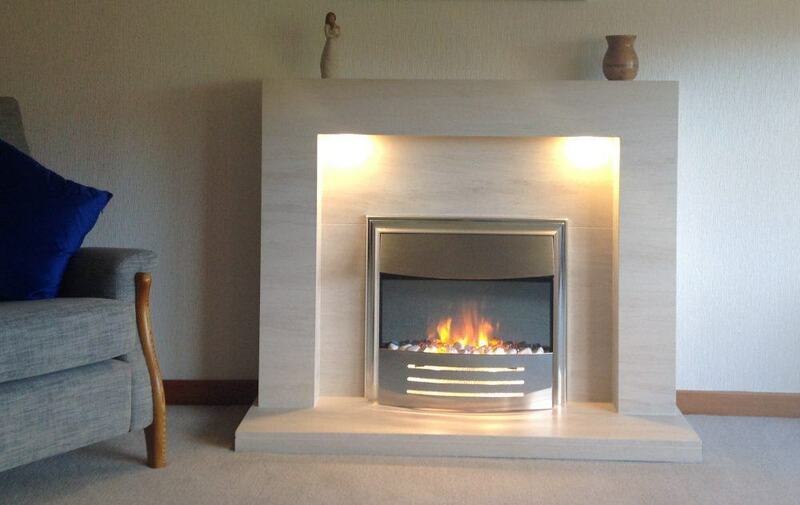 I went into the showroom unsure of what I wanted but left with a clear idea thanks to Fireplaces Direct patience. 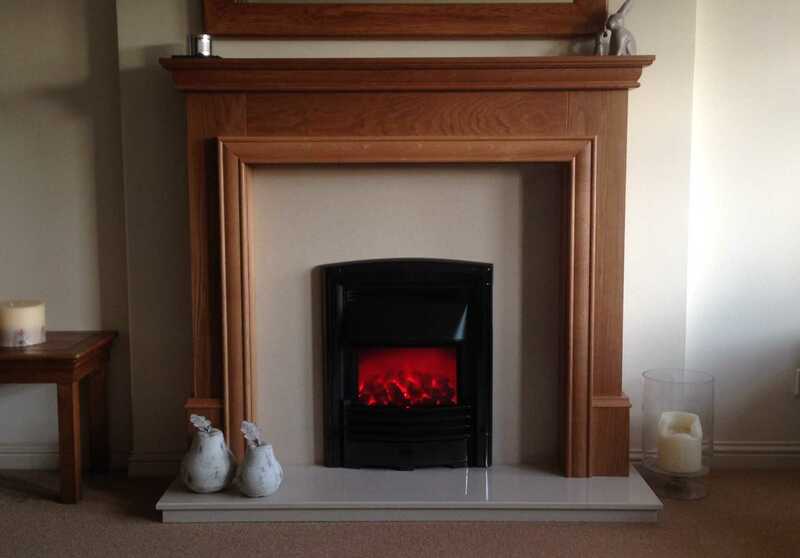 The fitters came on time, laid sheets down and carried out the installation quickly and efficiently. There was no mess and they gave me tips for cleaning. 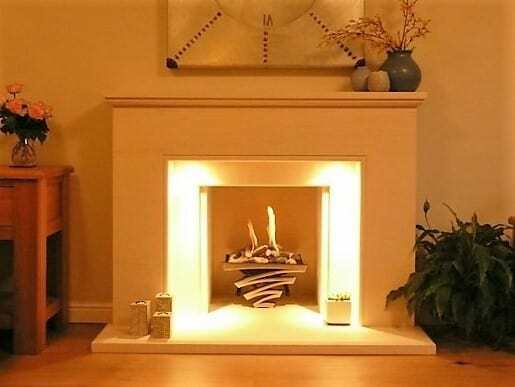 I would highly recommend Fireplaces Direct. 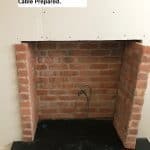 Just a very quick email to say thanks for all your help in getting the fireplace all sorted out for us! 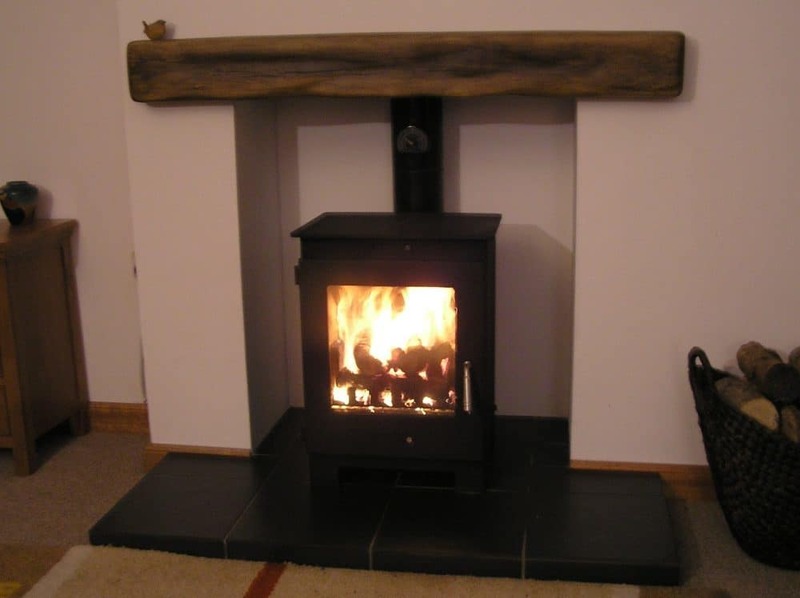 It was all installed within the day and it's looking great! We're delighted with it. Thanks again! 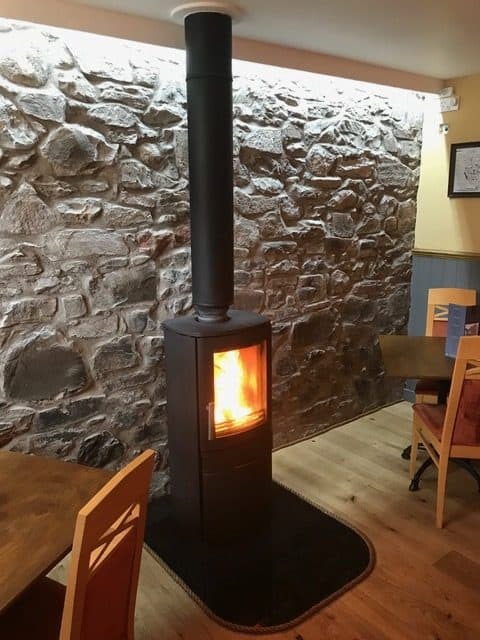 Hi Guys As promised please see the pictures of our lovely new wood burning stove 🙂 I have to say we can't thank you enough as the multi fuel stove has transformed our room. 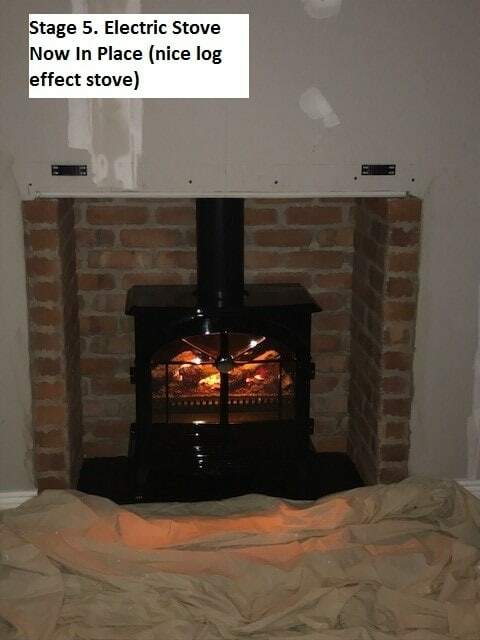 I am glad we took your advice about the size of the stove we needed for our room as it heats the room perfectly without being too hot. 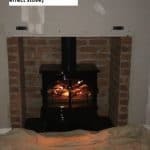 Looking back we are also happy you insisted that we use a liner inside the chimney as it does seem a much safer option. 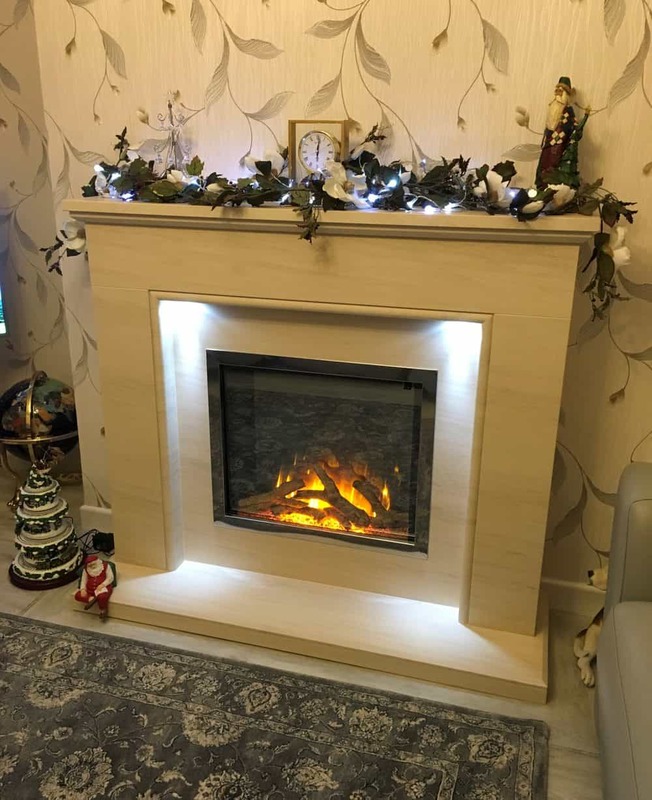 The installation could not have gone better and I cant believe how many visitors have complimented us about how good the staggered slate chamber bits look. 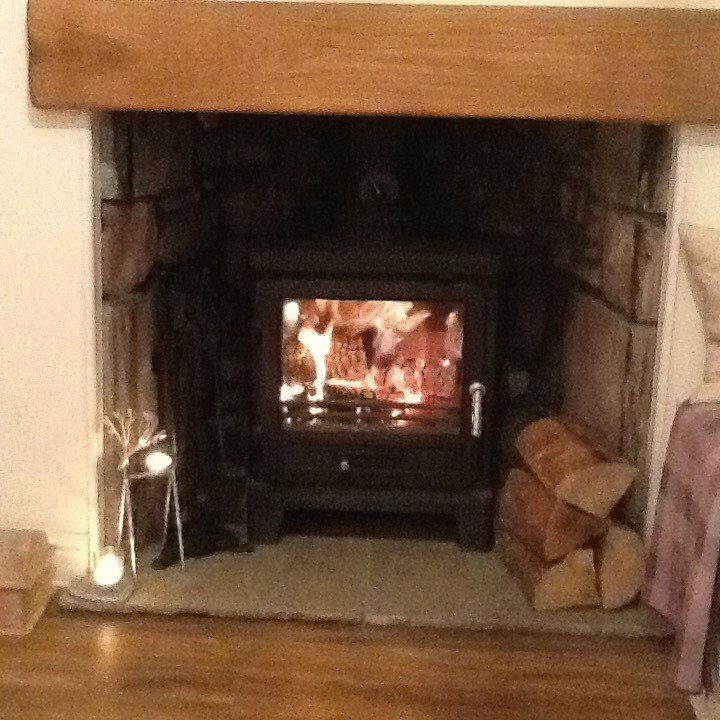 I have also spoken to the wood supplier you mentioned and took on board your advice about the importance of the moisture content in the logs. 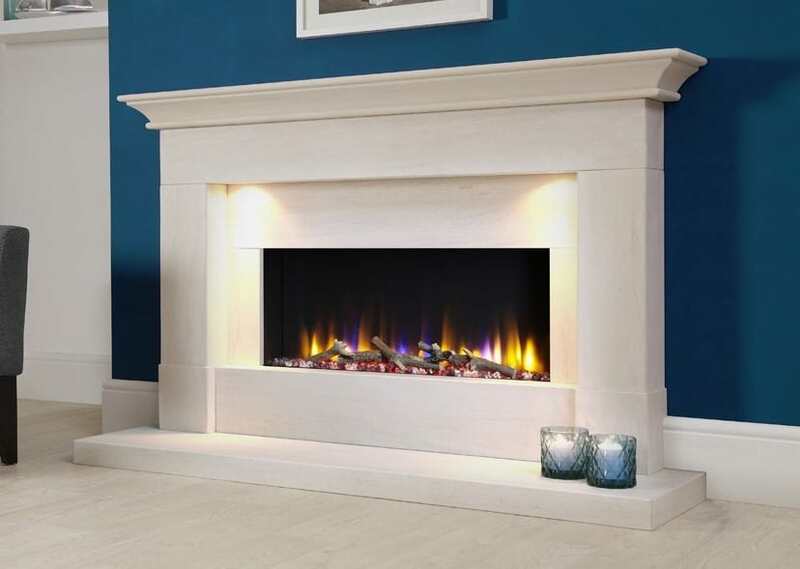 We would definitely recommend Fireplaces Direct. 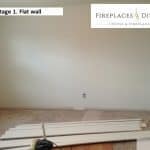 When we were in the store, we were given enough room to browse the firplaces on display but when we were looking for advice it was readily given. 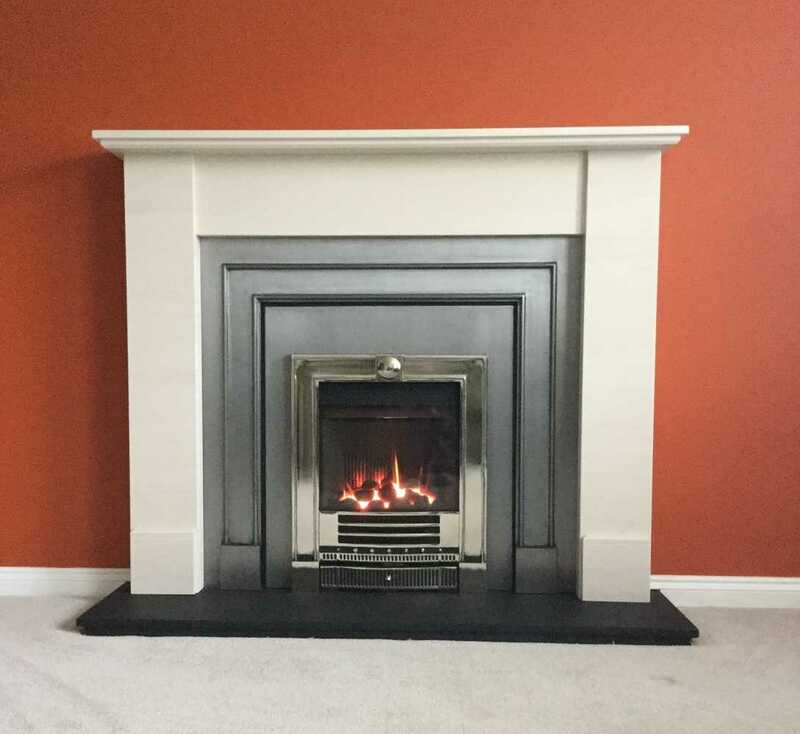 We had originally thought about a marble hearth but decided on a slate after a discussion, which I'm glad we did, we wouldn't have thought about that ourselves. 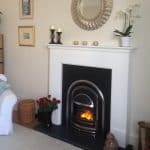 The fitters were excellent , easy to have in the house and cleaned up after themselves. Also gave a clear demonstration of the fire and tips for cleaning ! 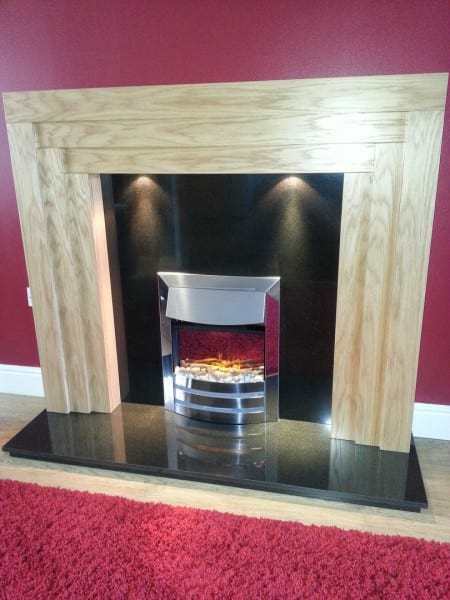 We are so pleased with the finished look of our fire and surround and have had many compliments. The whole process of ordering and installation of the fire was very straight forward , to the point I was expecting something to go wrong which it didn't ! Thank you for all your help, patience and advice. 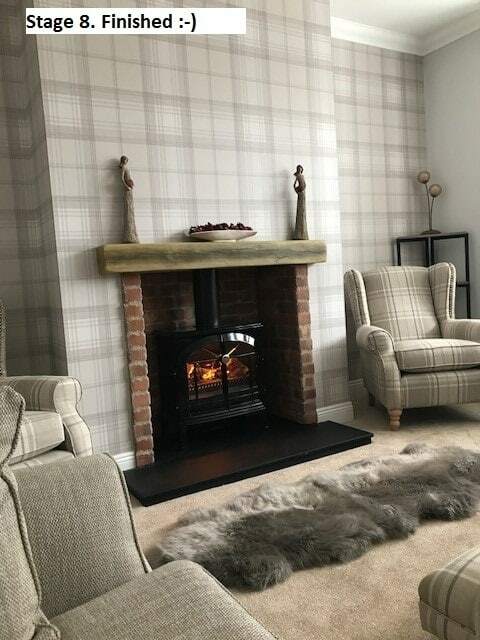 We now have a beautiful fire & fireplace, this is just to say it really enhances our living room and we could not have wished for a better outcome. Thank you again for the professional service that you provided for us and also for remembering my wife's birthday, much appreciated. 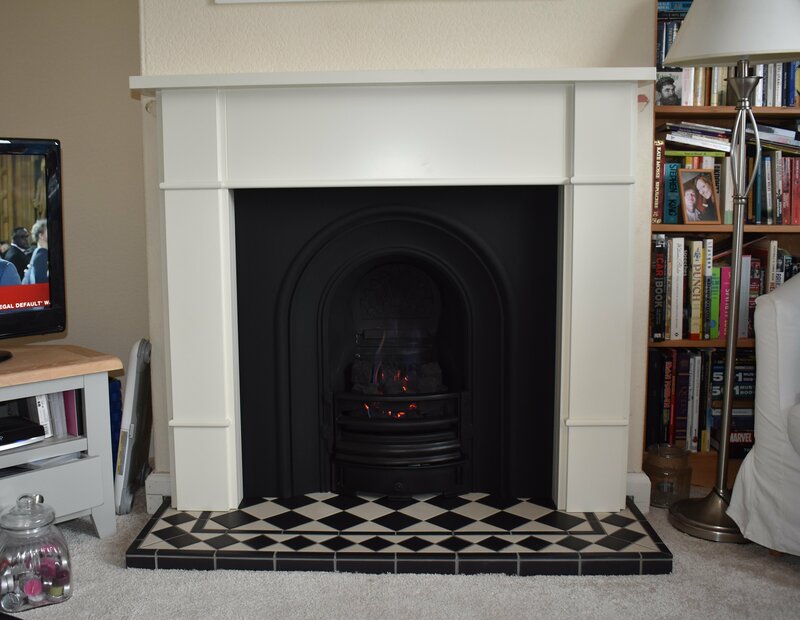 Just a quick note to let you know that we are both extremely pleased with our new fireplace. 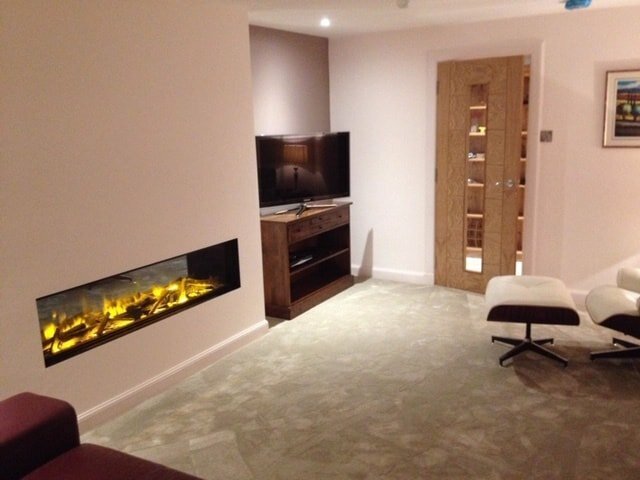 The fitters have done a fabulous job and we would have no problem in recommending you to others. 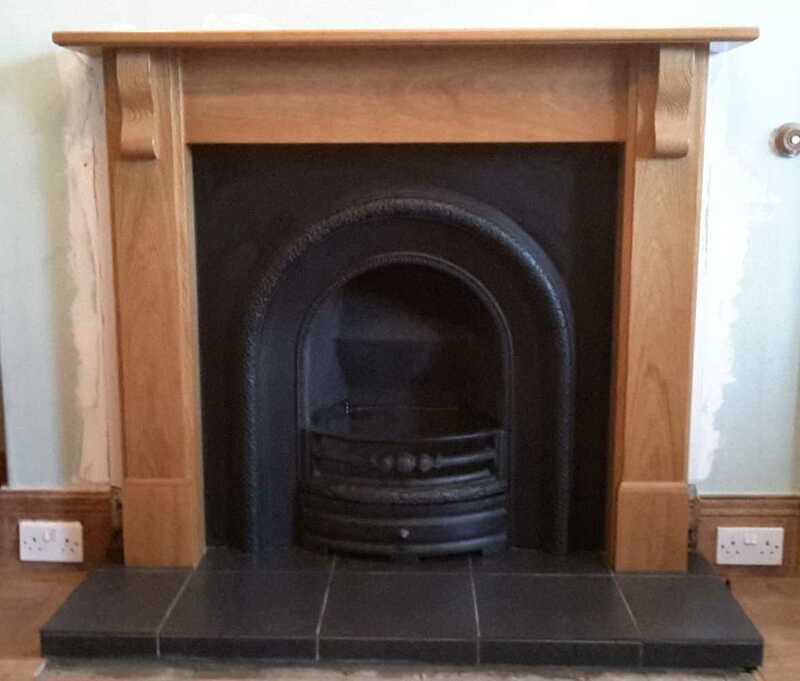 Very pleased with my new cast iron and oak fireplace. 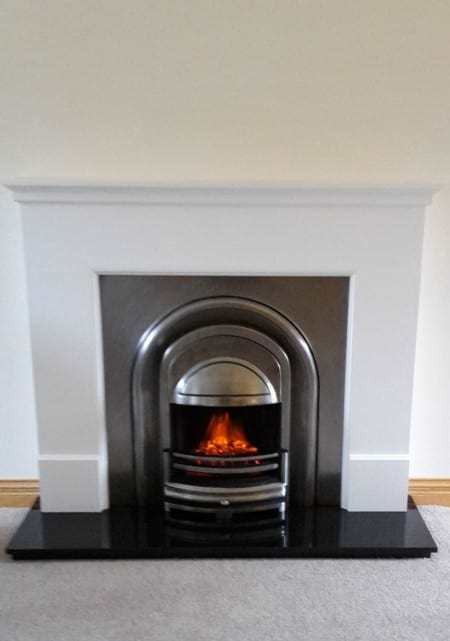 It looks fantastic in the room and I have already had many compliments from friends and family. I have sent a picture to you. I will be sure to recommend your business! 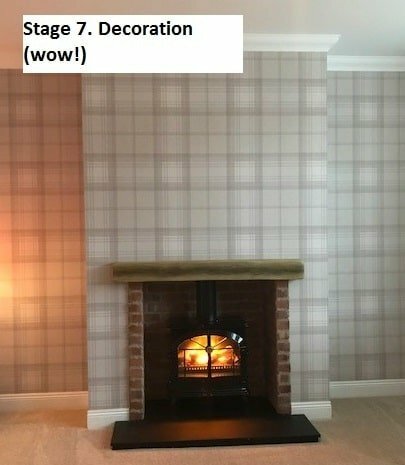 So glad I popped into your showroom that day. 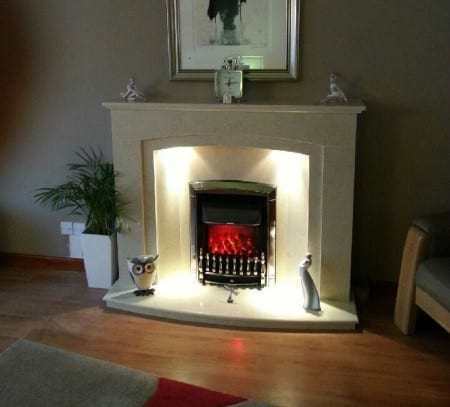 Delighted with the fireplace, it looks just perfect. Thank you for all your help. 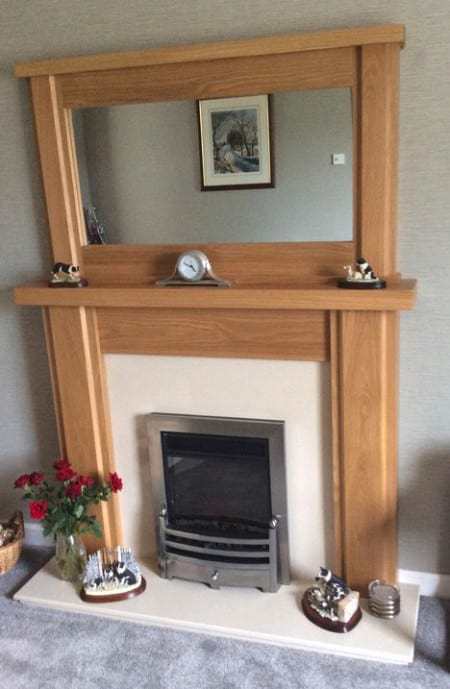 I'll take a photo once the fire is on and send it to you.